Request Network is an ERC-20 token which is trying to redefine how payments are processed. This includes the processing of online payments, invoicing, as well as auditing and accounting. Request Network also allows for the transparency of government offices and NGOs. Request Network is trying to revolutionize how payments are processed by bringing it to the blockchain, which results in cheaper, easier, and more secure payments, and allows for a wide range of automation possibilities. 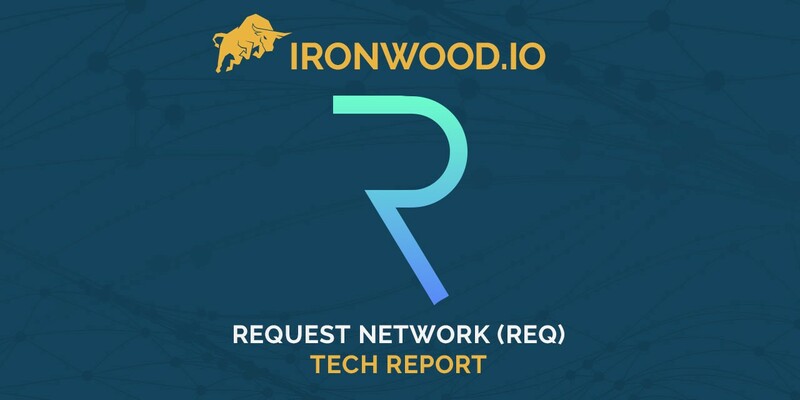 The Request Network is built upon 0x, Civic, and Aragon. 0x is a cross-currency settlement system that will allow users to send and receive money in the currency of the sender and receiver’s choice. Civic offers anonymity, allowing the user to request payments without sharing their identity. Finally, Aragon will help companies by providing automated accounting and auditability. Request Network has a bright future ahead of it with substantial growth, assuming they are able to follow through with their ambitious roadmap. It is encouraging to see their ambition in action as they are already ahead of schedule. However, as the project is still in its infancy, there is still a risk of its adoption falling through in the future. The team has proven to be able to clearly explain their vision and plans in the whitepaper, and the project has gained noteworthy supporters already, such as ING, Y Combinator, and Quantstamp. Continue reading the full report!